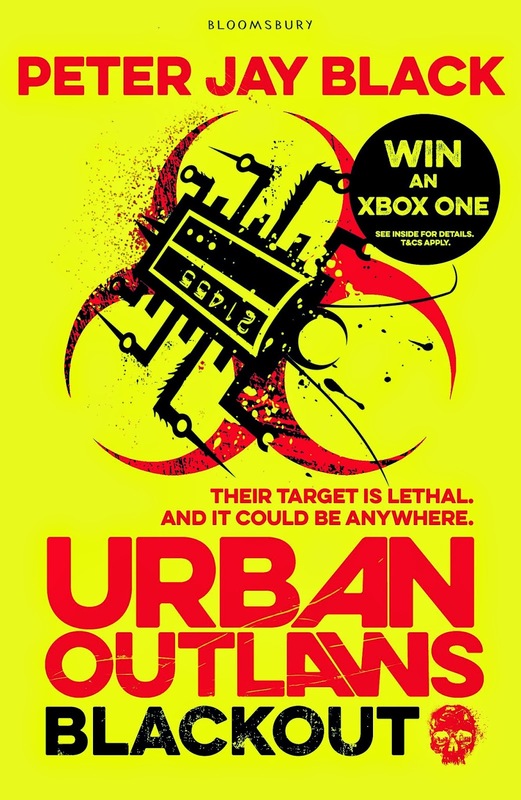 Book Review: We are zipping straight into the next mission BLACKOUT with the URBAN OUTLAWS: Jack, Charlie, Slink, Obi and Wren. If you have read the first book in this series, then you might remember these bunch of quick-thinking, super-skilled kids who live to right societies wrongs from their secret bunker deep beneath the city of London. This sequel retains all of the great magical ingredients from the first book: action, suspense, surprises, spills and cool gadgets as well as the occasional and exhilarating chase scene. This story plays like a fast-paced movie vision. It will give you a thrilling and exhilarating read right down to the very last page. However, the plot in this book is more established; the previous story history is only briefly touched upon and, in my opinion, makes this encounter a cracking sequel. I really liked the introduction to the new character Hector, who is an extremely talented hacker. He bursts onto the scene with a great deal of cunning moves and gusto actions. An extra element of excitement is added to the plot, which may actually pose more questions and create an air of mystery. The story also has a side plot running through it, which is clever, well written and totally absorbing. This makes for good reading and gives another dimension to a kaleidoscope of an adventure that will keep the reader entertained. The other good aspect about this book is that it will appeal to both boys and girls, as the story is written on so many levels. The characters are all different with unique talents enabling children to be able to relate them. I'm really pleased to say that this is another sure fire winner. It will engage any reader who loves a great story that is told in a no nonsense way. One strong point to mention are the detailed descriptions, which are all wrapped up in the author's imagination and highlight what it is like to be a kid. The other good point is the humour - the laughs and the crazy friendships between all of the characters is a strength in this plot. It is something that many authors just don't get right, but Peter Jay Black does. The book has a modern day hi-tech feel about it, from the cool gadgets, computers and surveillance to capture everyones imagination. Everything is included to keep the reluctant reader hanging on for more and, for me, makes this series one of may favourites that is currently around. This book is published by Bloomsbury and is out on February 5th - look out for it, in all cool bookshops.